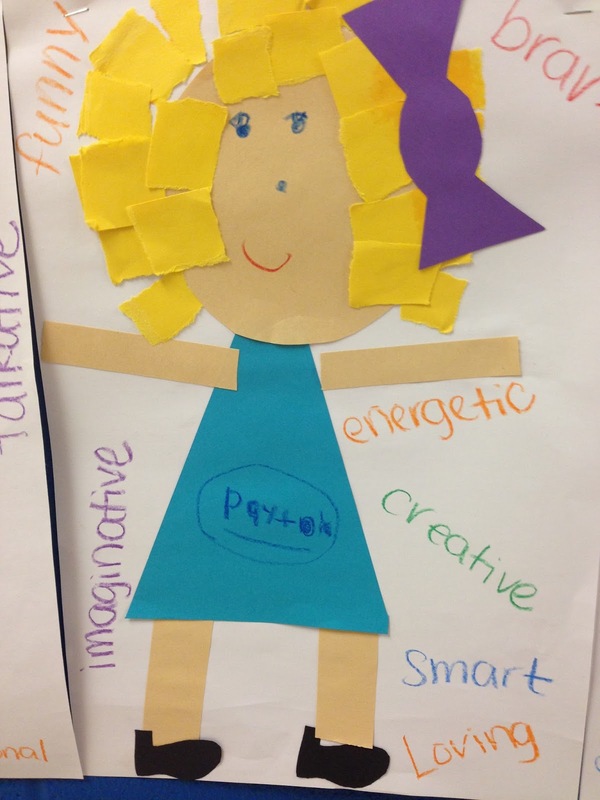 This past week we focused our social studies unit on our All About ME Unit. 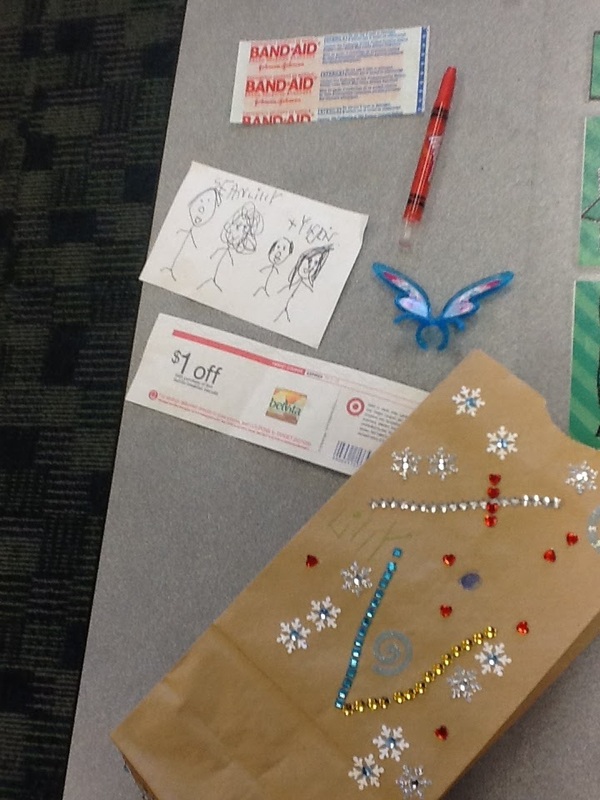 The kids really enjoyed it because they got to share with their peers all about who they are, what they like and we even got to make a few cute crafts. 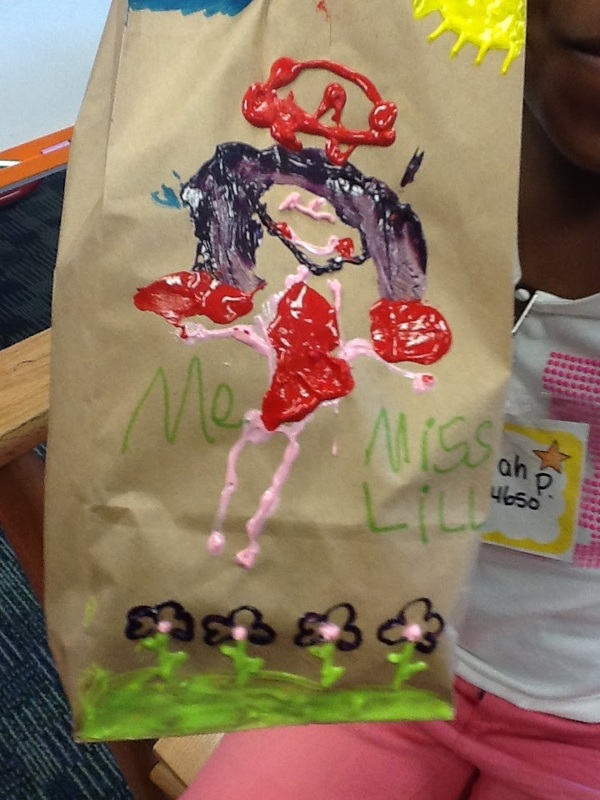 We read stories, had discussions, shared our All About Me Bags and made some crafts. All in all a fabulous week! One of the most creative things that was brought in was a coupon. I said sweetheart, why did you bring in a coupon? She responds, well Miss Lill, I love to go couponing with my mom! 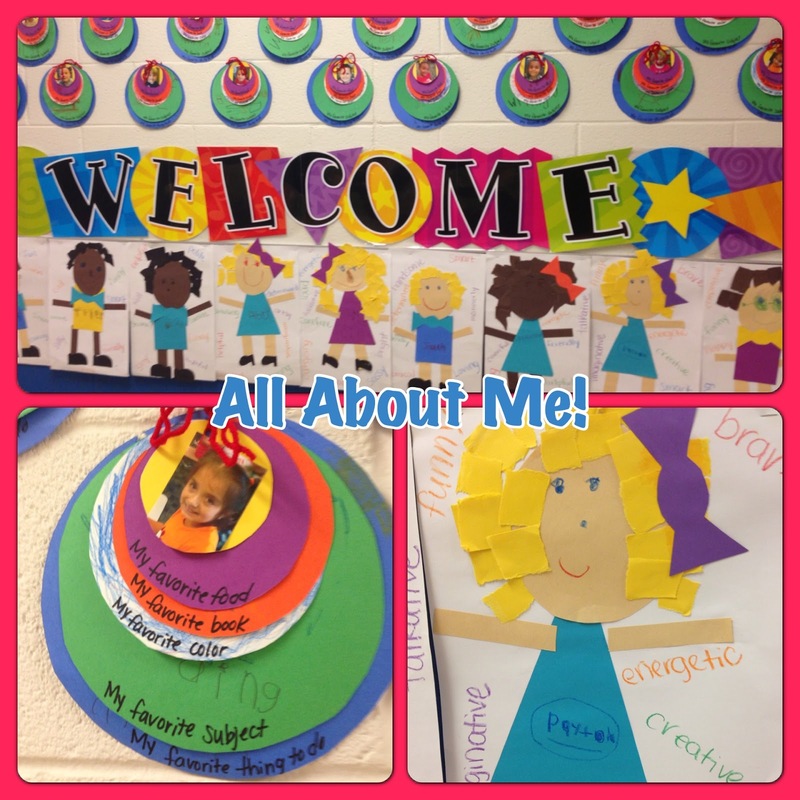 We also made "All About Me" Books and self portraits with adjectives for each kid! Check it out! 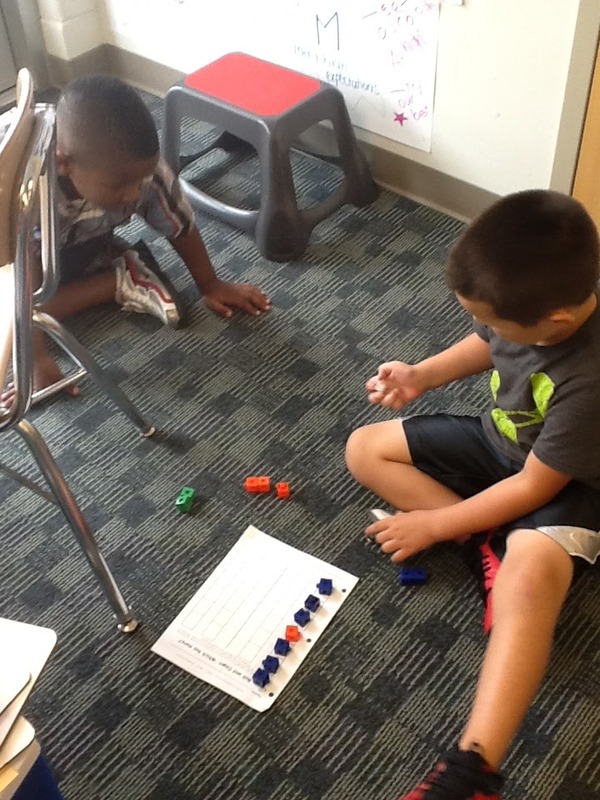 We have also been working on counting to ten with one to one correspondence. 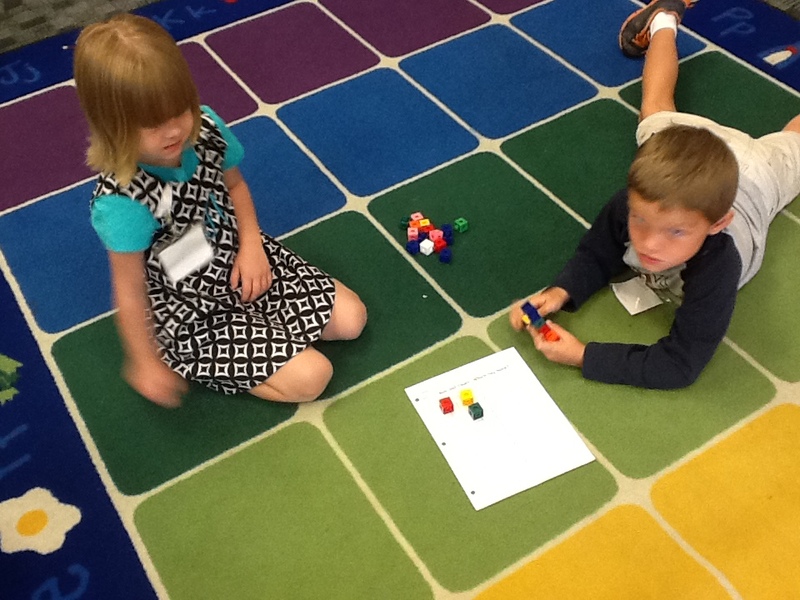 The kids played a game this week by rolling a dice, getting that many cubes out, then doing it again. 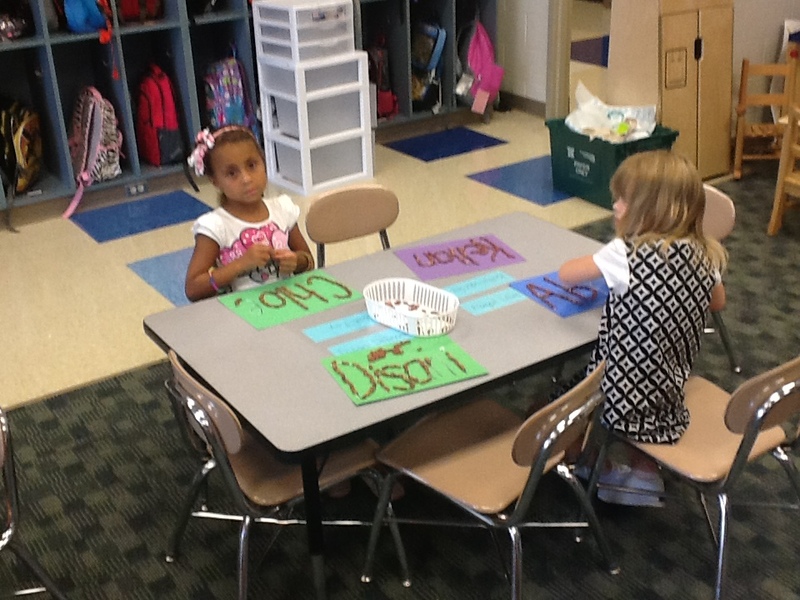 The most important part was having the discussion with their partner about which is more and which is less. 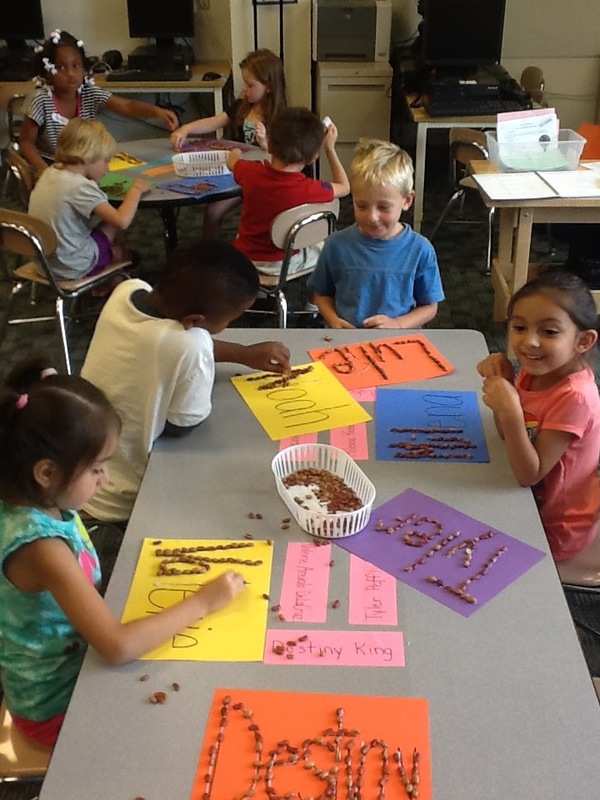 I was surprised that the kids absolutely loved this activity. 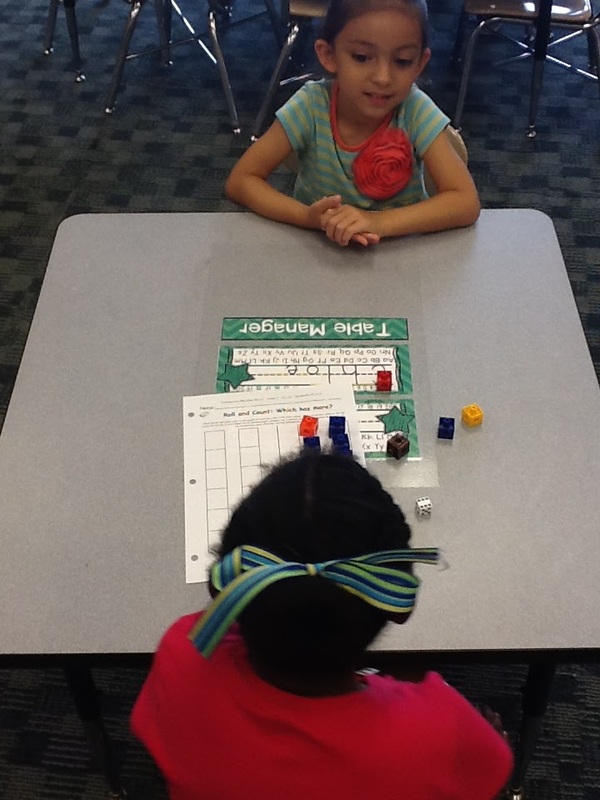 Sometimes the most simple games the kids totally love! One last thing I forgot to blog about last week. I got a chance to have a craft day with my friend Julia and we had so much fun. 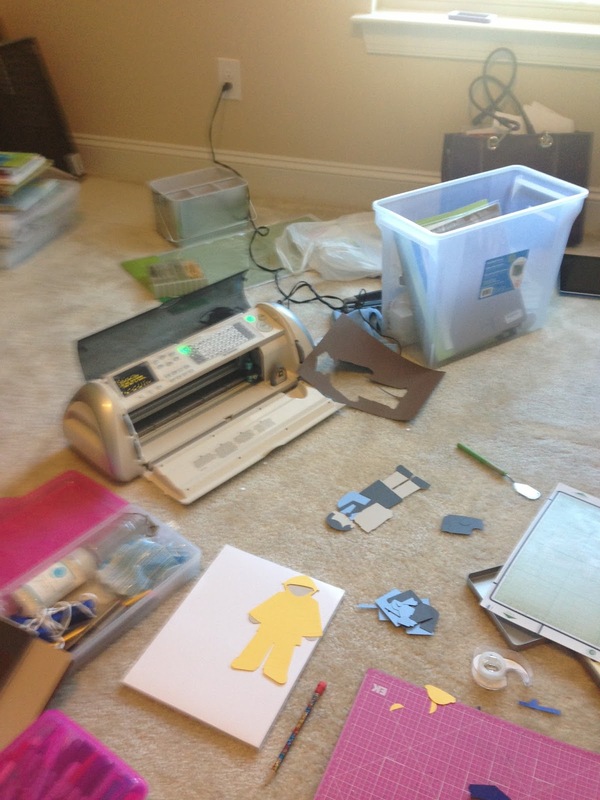 She has the cricut (amazing cutting machine) and we made some awesome projects. 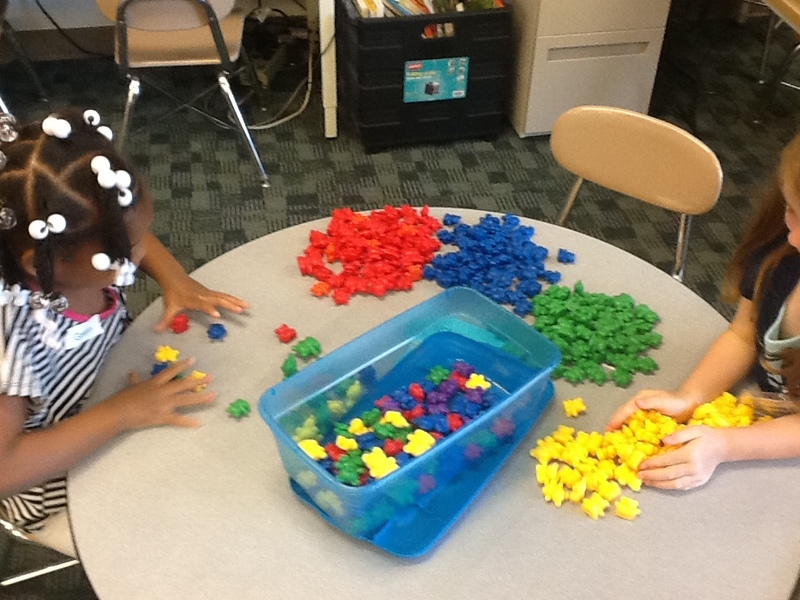 The next social studies unit that is coming up is "Community Helpers". 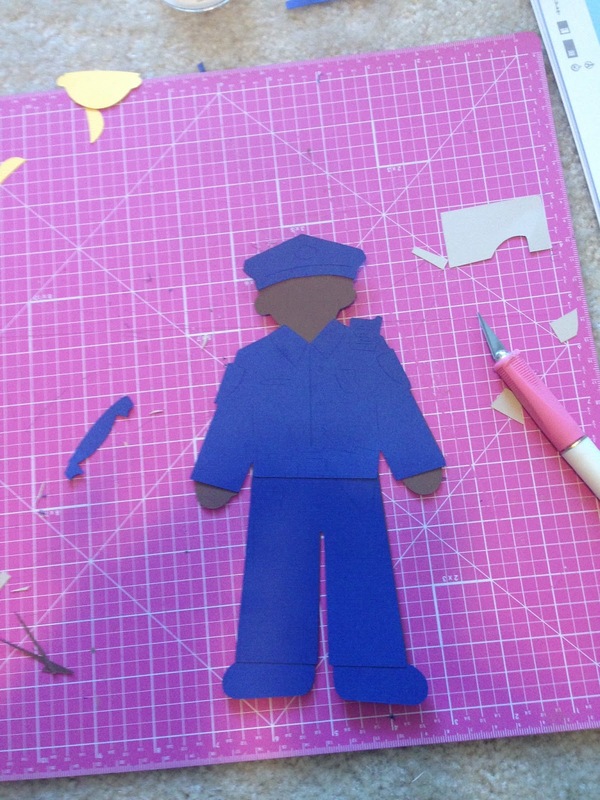 She just so happened to have a cartridge for her Cricut of community helpers! I thought YAYYY! 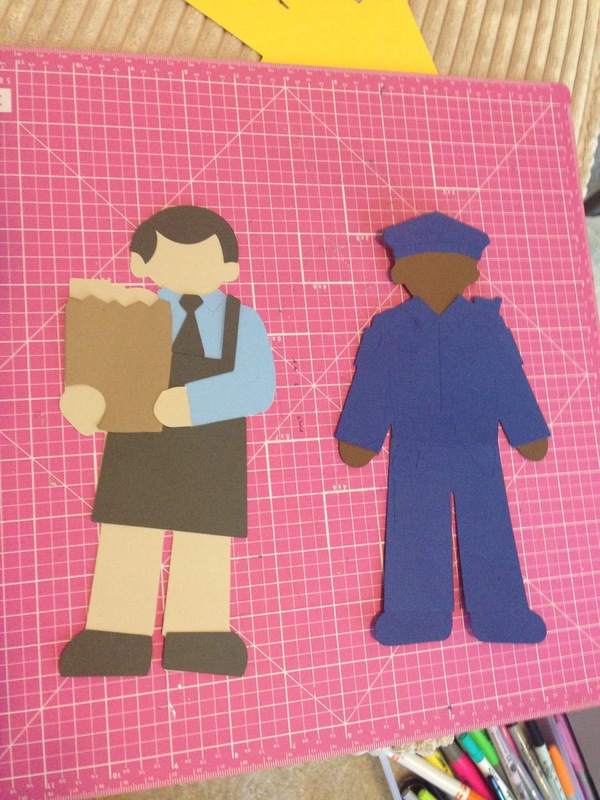 So we planned what color paper we needed, took a break for lunch, went to Michaels for paper and then spent hours cutting out community helpers!!! :) She is the best for letting me hijack her machine!! 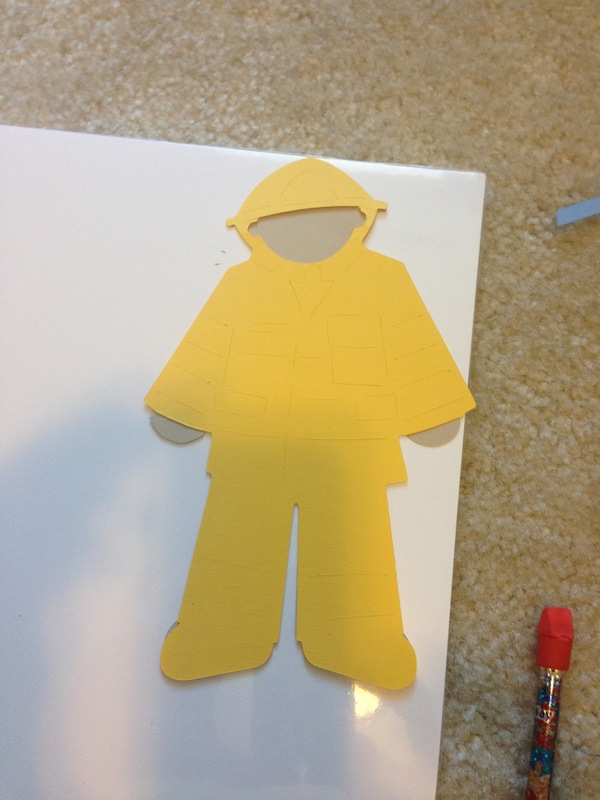 :) Can't to finish putting these together and getting them laminated! PS. I uploaded new products to TpT! 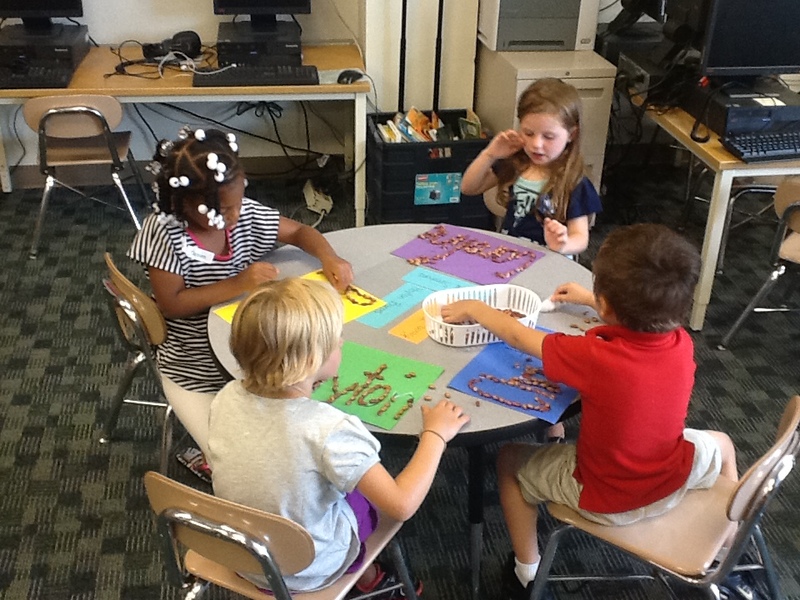 They are nonsense word fluency races (This is FREE), letter races, star alphabet and high frequency words and also shape posters. Go check them out! I am loving using them in my room!!! 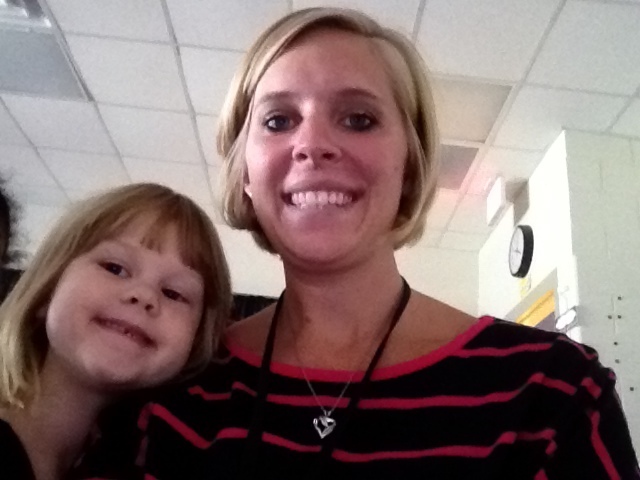 One of my students came in today so excited because she got her hair cut and now we look like twins! She is planning on us coordinating our outfits one day! We are already on Week 5?! Where did the time go? Wow, we are going into week 5 already! Time is flying! We are leaning A LOT and having fun doing it! 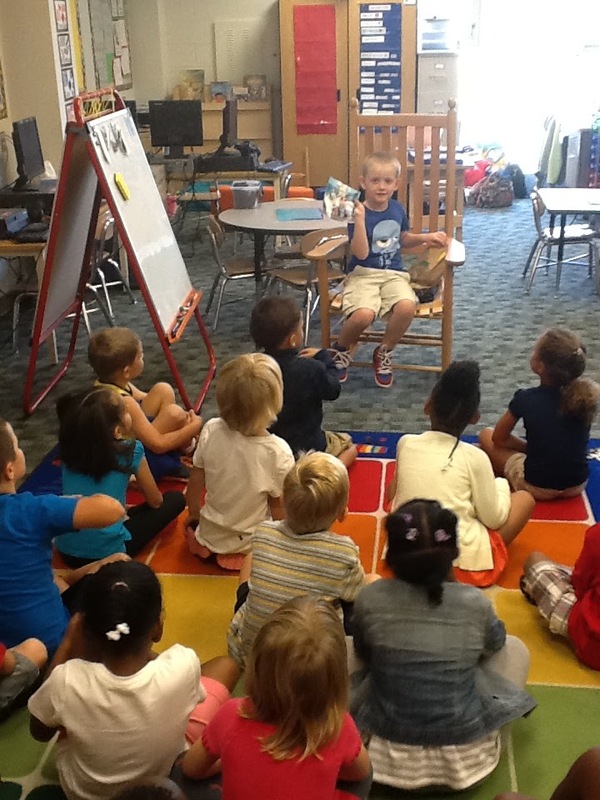 I finally got my classroom all set up..but as teachers know, there are always a million more things you can do. But, this past week I got the students official name tags on the tables (I know .. a little late), I redid the birthday board because one day I came in and it had fallen off the wall and crumpled to the floor, I decorated the hallway, started my behavior management system and got the students morning work printed, and laminated! I'd say it was a successful week! 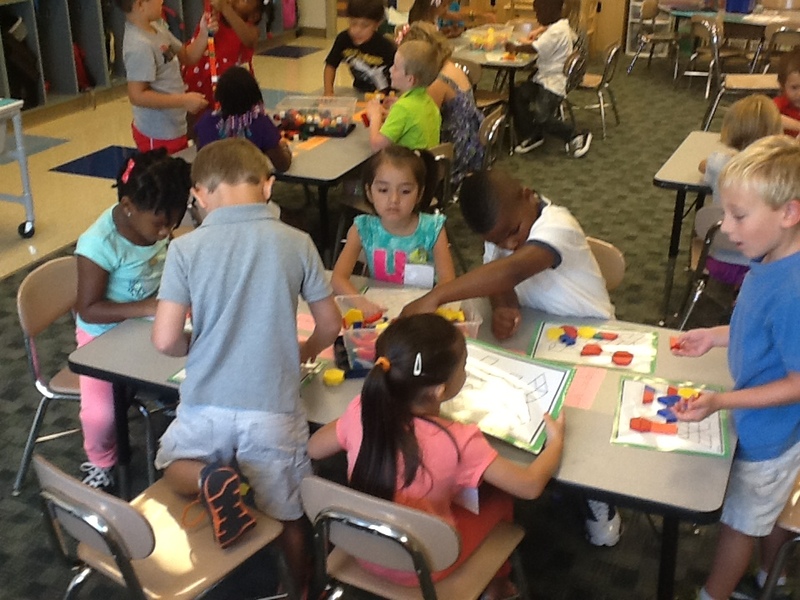 This year I am so excited about my class! 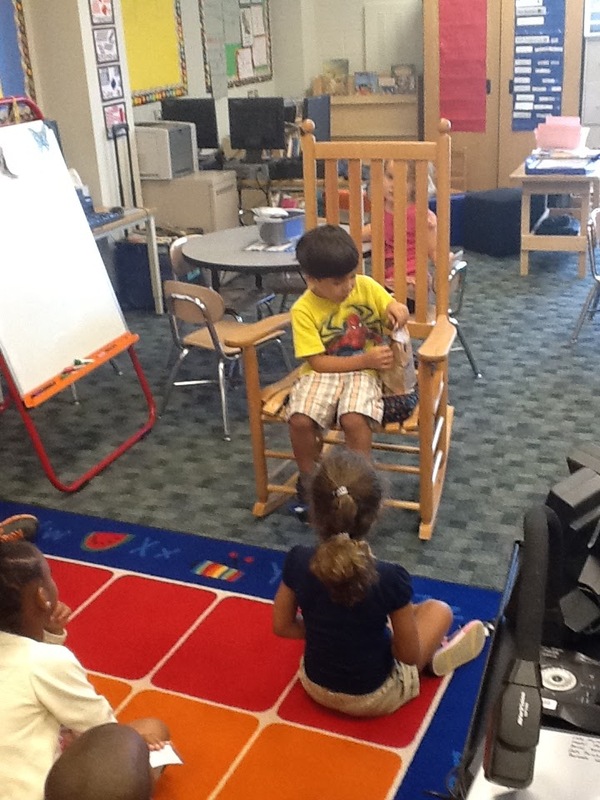 I have amazing students with awesome personalities and they are eager to learn! 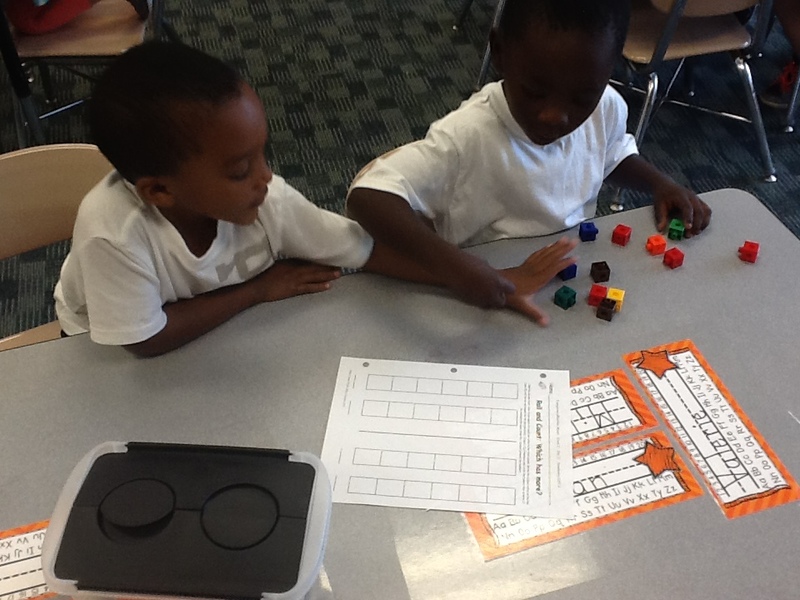 :) We have been working on our morning work, math (counting 1-10), rhyming, letter names and sounds, and print concepts and I really see a difference in my students already! I am pumped for this school year! 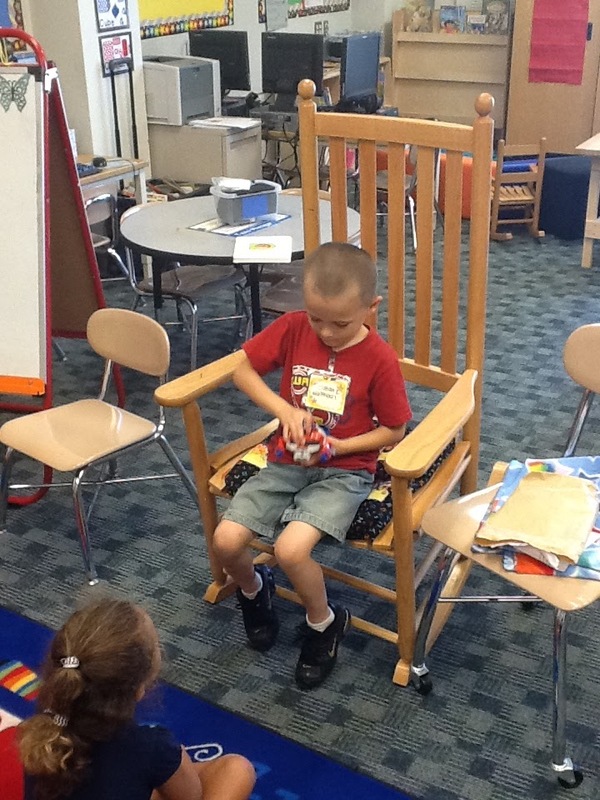 During staggered entry, we read the story The Kissing Hand, went on a scavenger hunt and even made a Chester the raccoon craft. 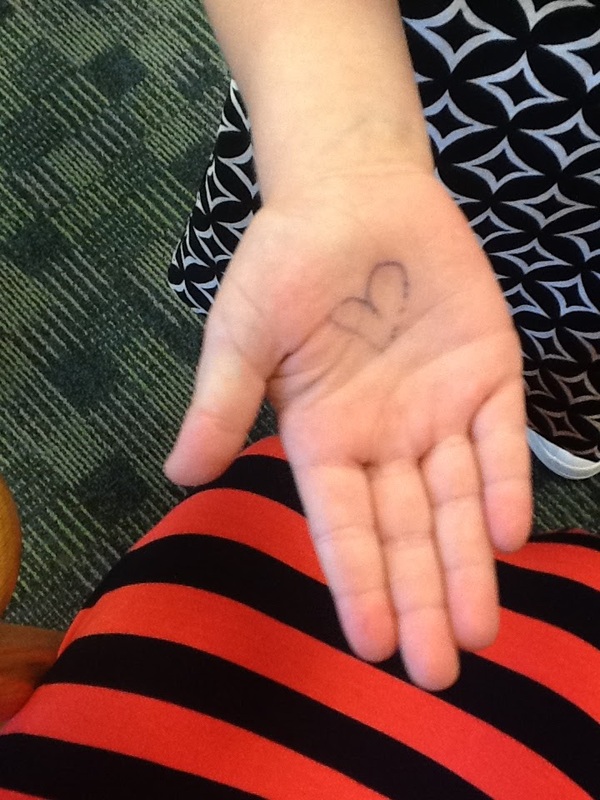 On the first day of school, my students were excited, and nervous to start kindergarten; I caught one of my students looking at her hand. I said "Sweet heart, what are you looking at?" 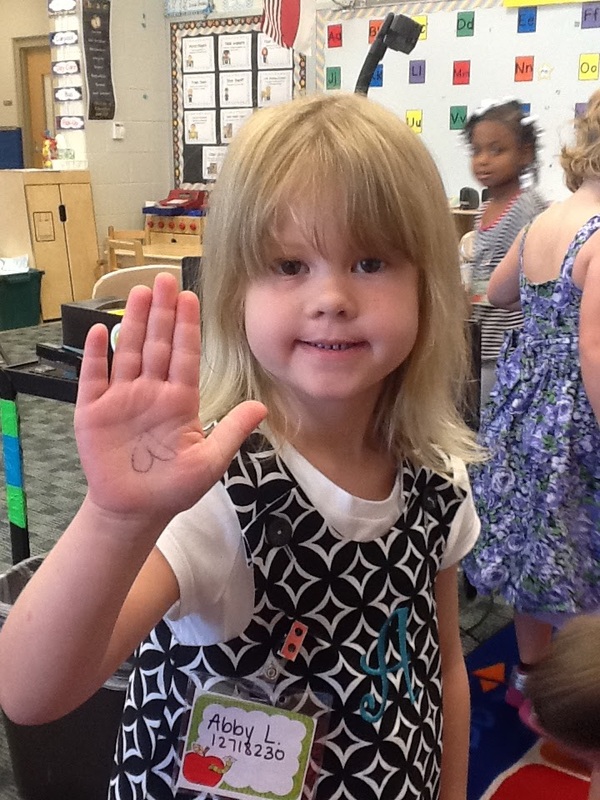 She came up to me and showed me her kissing hand. So adorable, and just too cute! If you are just starting your school year, and are overwhelmed by going back to school, I have a few things you might like. 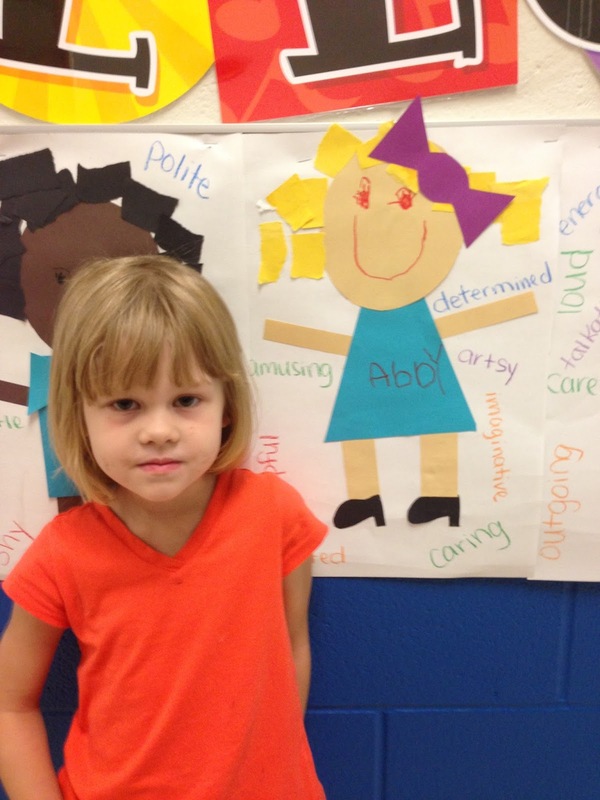 My favorite is my At Home Learning: Homework for the entire Year! Grab it now, so you don't have to worry about homework. I started giving homework on the second week of school this year; it got my students into a great routine, and I really think they are enjoying it! Another great product for take home reading, morning work or even guided reading groups are my Sight Word Readers. These would be perfect for the beginning of first grade for your struggling readers or even just to brush up on kindergarten skills. These books also differ in text complexity. They are awesome!!! 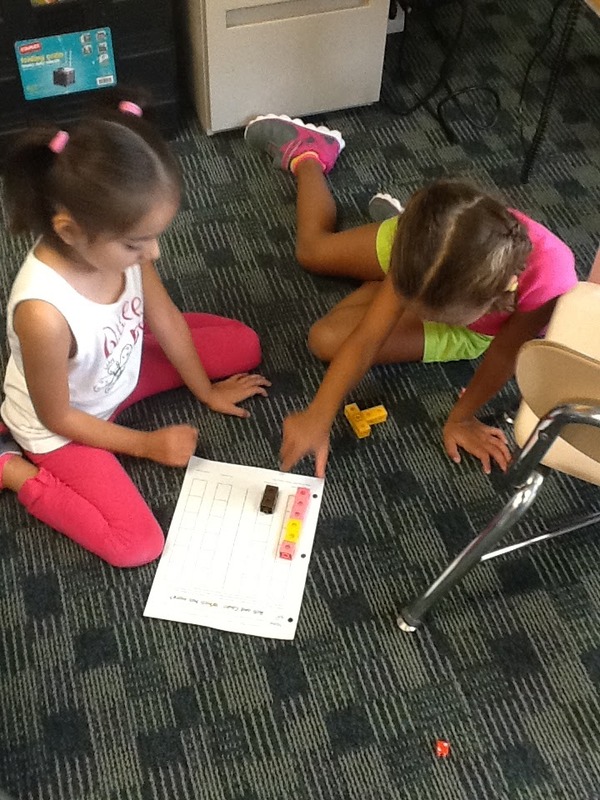 Lastly, are you struggling to come up with a fun writing center? Or are you tired of the one you have been doing forever? Come check out my Writers Workshop Writers Prompts. 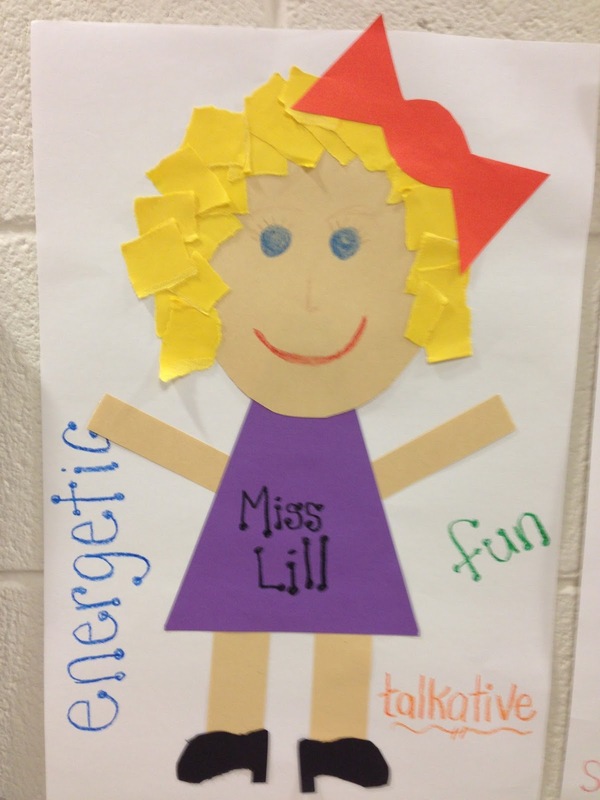 They are cute, fun and allow students to become creative with their writing.